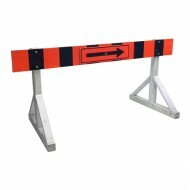 We supply reflective highway barricades in 2-panel such as Road Closed Barricades and Bridge Out Barricades or they are also available in single panel models known as Urban Barriacades. 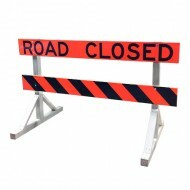 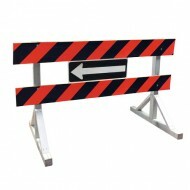 Highway barricades are available in Alberta Transportation or Saskachewan Highways specification. 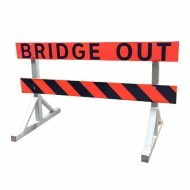 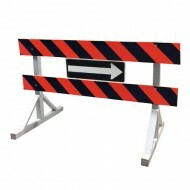 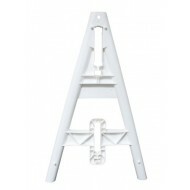 Our most popular barricade is the 10-foot knock-down barricades for construction zones. 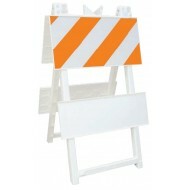 We also supply water barriers for road construction work zones. 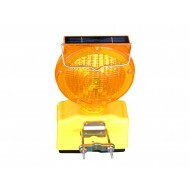 Type 1 LED Flasher Barricade 2 D-Cell Batteries (batteries not included) .. 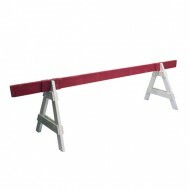 Saves space in use, in transit and in storage! 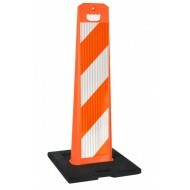 The most visible and space efficient barricades av..
A-Frame Barricade Legs (SOLD AS SETS OF TWO) Perfect for crowd control and road closures ..
All plastic, economical barricade, that is strong and durable Solid wall design: legs a..